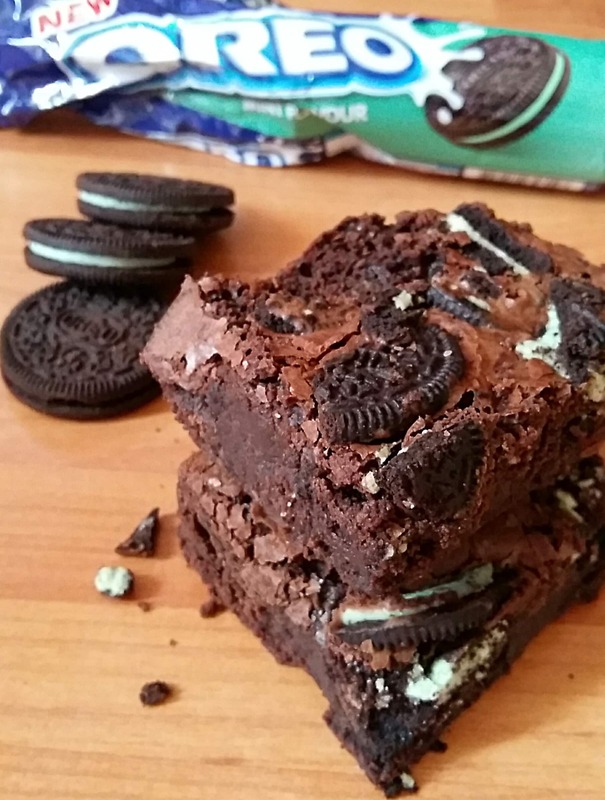 If you like mint chocolate and Oreos, you’re going to love these mint Oreo brownies! I’m a massive mint chocolate fan. Mint Oreo cookies have been available over here for a while now, but as they were imported from America they were very pricey. As much as I wanted to try them, I just can’t bring myself to pay £6 for a packet of biscuits. I just can’t do it. But now they are available over here for a much more reasonable price so I stocked up! Can I just make a suggestion? 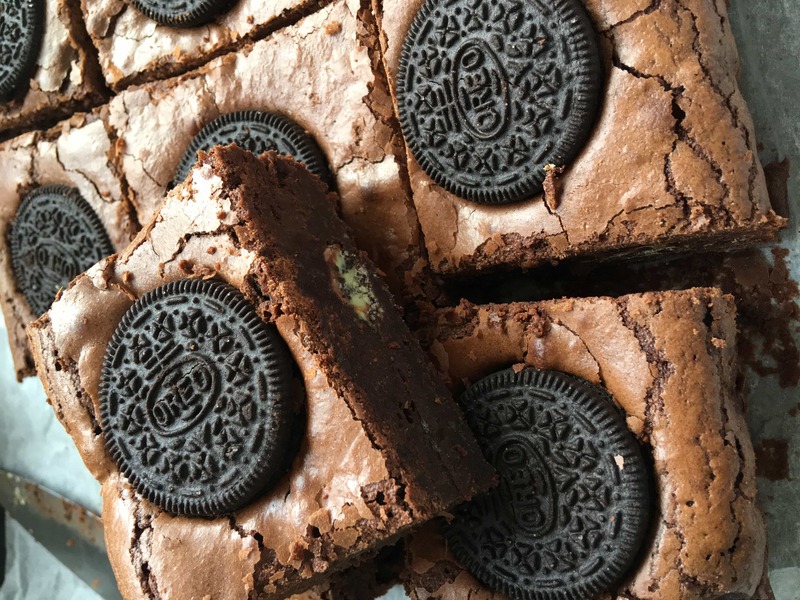 Try these brownies with a scoop of mint choc chip ice cream and chocolate sauce. Melt the butter slowly in a medium sized saucepan pan and once melted, take off the heat and add the chocolate, stirring to melt. Whisk the eggs and sugar together until very light, pale and doubled in volume. Fold in the peppermint extract, flour, cocoa powder and mint Oreo pieces. Pour the mixture into the lined tin. Top with the remaining Oreo pieces. Bake in the oven for 25-30 minutes or until the top is set. 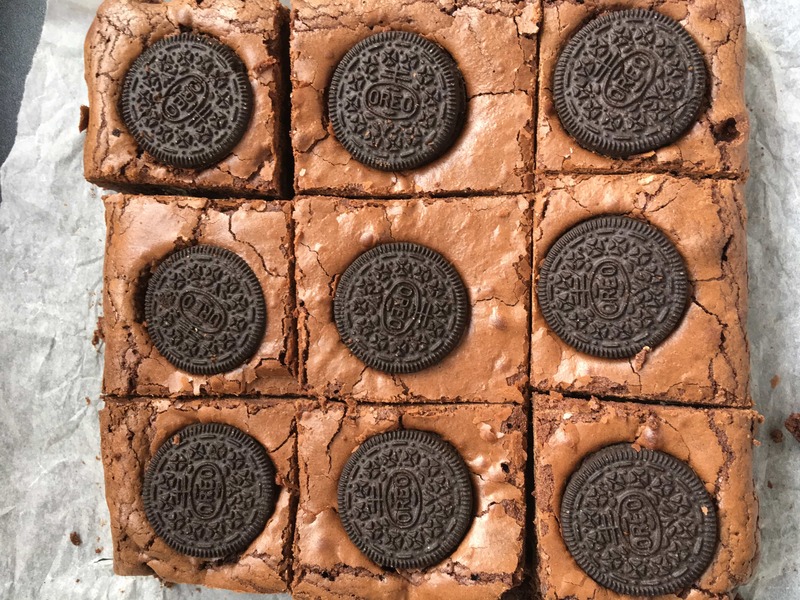 Leave the brownies in the tin to go completely cold before cutting into squares. Previous Post: « Spooky spider cookies! Ermagawd I want them all nowwwww! Lol. 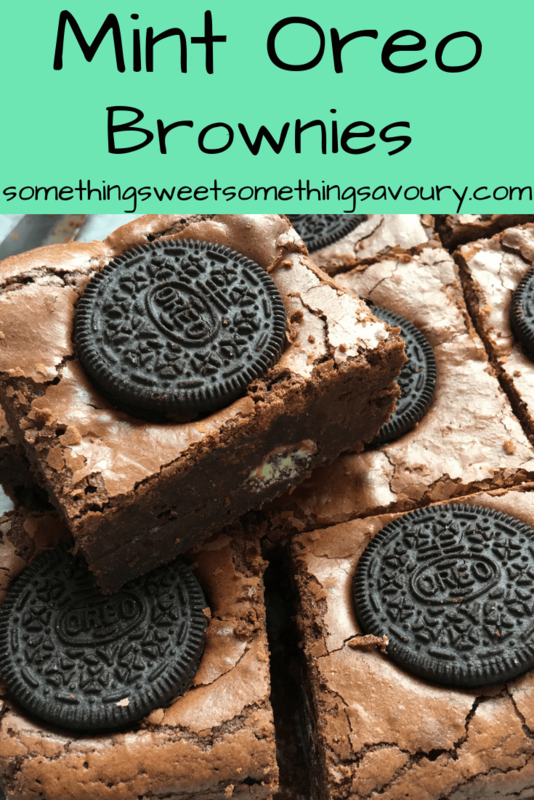 These look amazing Nickki!